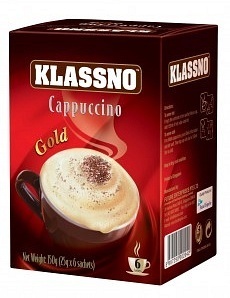 We are a distributor of Klassno products. 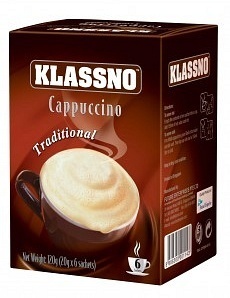 Klassno is a range of convenient instant cappuccino mixes. 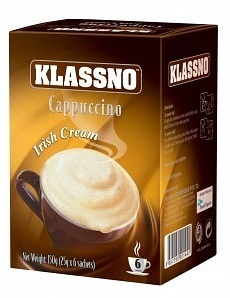 Mild and frothy, Klassno is avail-able in four core varieties: Traditional, Irish Cream, Gold and Latte. All varieties are gluten free. Each pack contains single serve sachets with coffee, milk powder and sugar already in-cluded. Simply empty sachet into a cup, add hot water, stir and enjoy the full bodied frothy cappuccino taste. Or create an iced coffee with 50ml of boiling water, stir and then add ice. 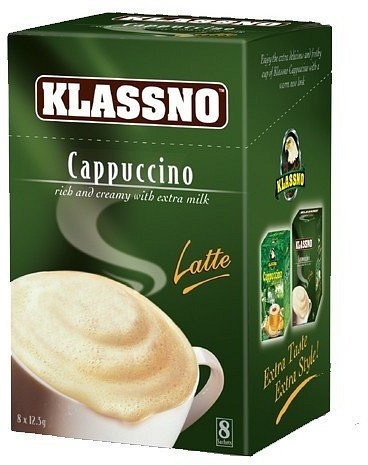 Klassno cappuccino perfectly answers to your cravings anytime, anywhere. Click here to buy Klassno online.